For instance, if a person needs to go in for a medical checkup and he has medical insurance, then he will need to fill up the medical claim reimbursement form, attach the required medical paperwork and submit it all to his insurance company claiming a reimbursement of medical expenses. 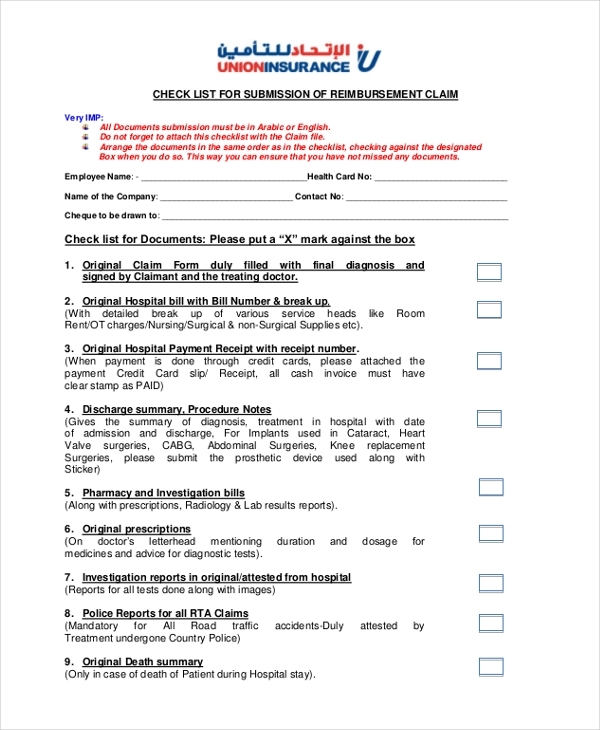 An insurance claim form is utilized by employees of an organization that has provided for a medical cover for them. 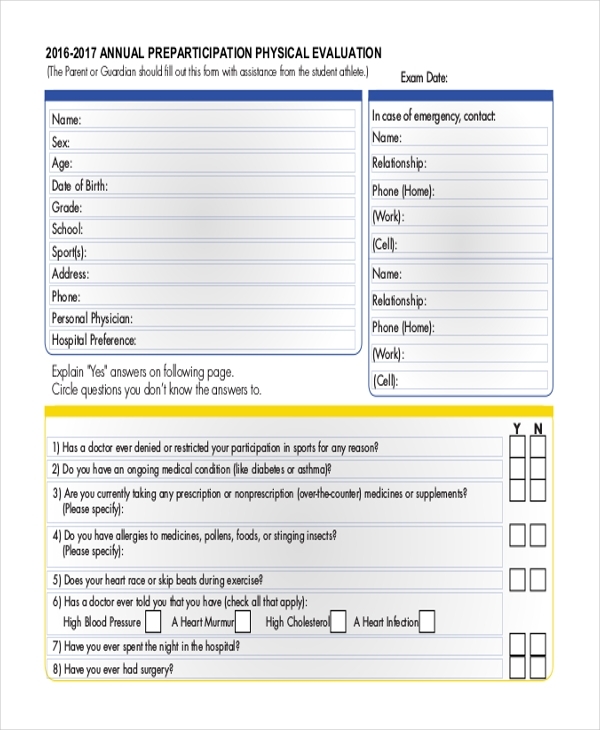 In case of a medical condition or medical emergency, the employees can present a medical claim form with the necessary details and information about their medical diagnosis and treatment, and seek of repayment of the costs. 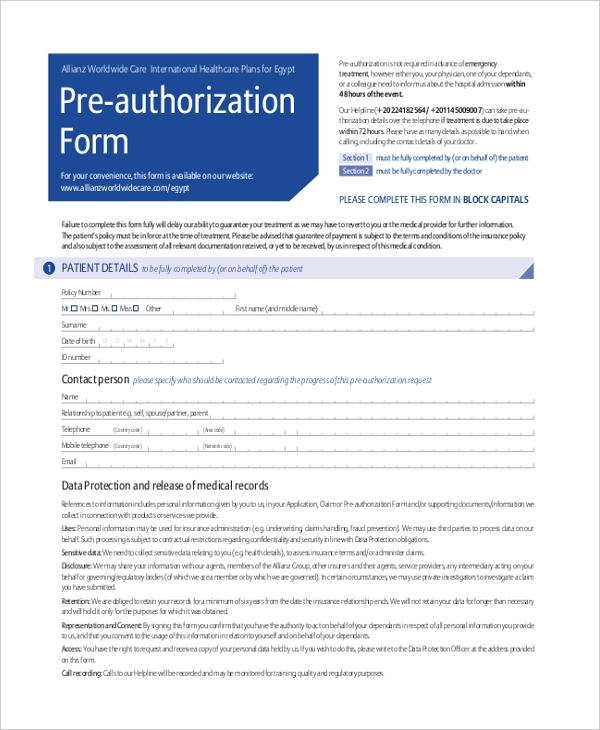 A pre-authorization is basically a document wherein a medical facility reaches out to the recipient’s insurance company seeking their approval before commencing medical procedure or prescribing medication. This exercise is followed to make the recipient is covered by a fitting medical insurance plan which covers the costs of medical procedure or medication prescribed. 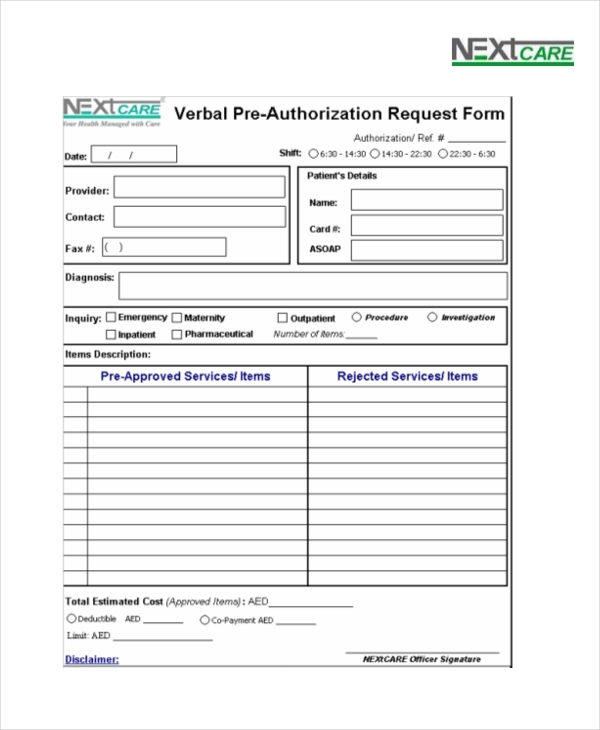 An approval form is similar to a health checkup form wherein all the parameters of a person’s physical health are duly tested and remarked upon. The procedure may be followed in general settings or in an event of injury etc. 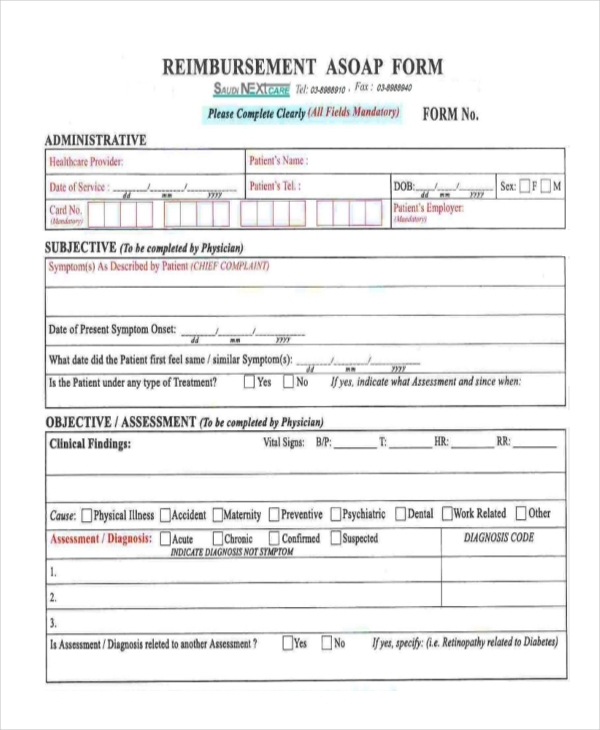 A medical reimbursement form needs to be filled out clearly and completely. If there are any details or information missing or incorrect, chances are your insurer may not give you the compensation you should get. 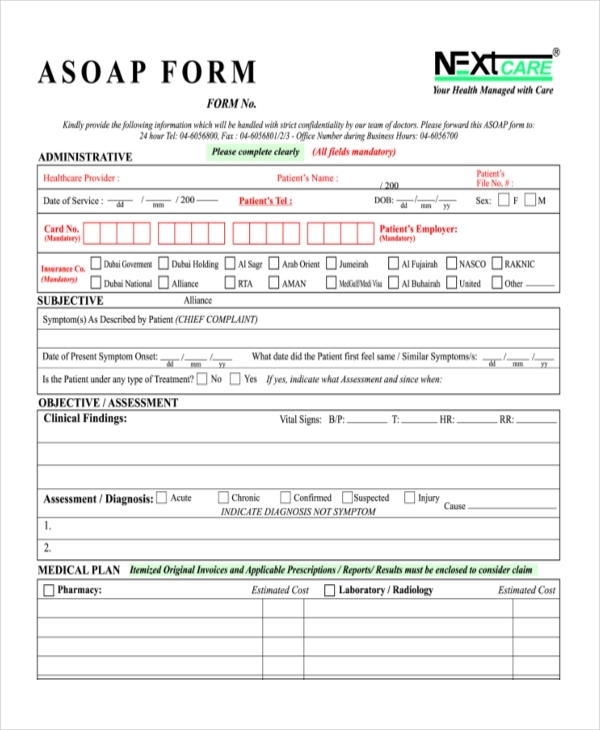 A Reimbursement ASOAP Form must contain all of the relevant details of the recipient’s medical condition, including the diagnosis, followed by a detailed lowdown of his or her health, followed by other related expenses. Ideally a reimbursement form of any kind contains a elaborate list of terms and conditions stipulating the rules and scenarios under which reimbursement of the amount will occur, or will not. 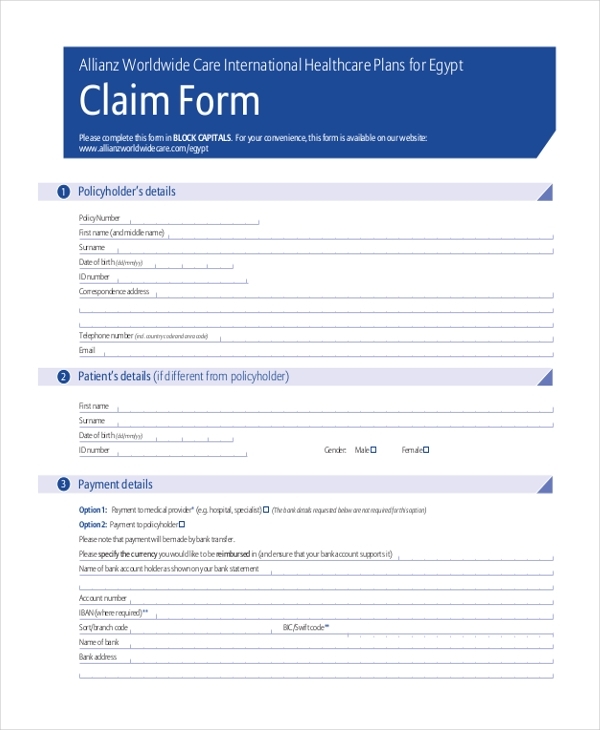 As mentioned earlier, a reimbursement form is essentially a document which tells the concerned authorities about the expenses incurred by a patient or employee on their behalf. There are many kinds of reimbursement forms, and medical reimbursement forms are very popular and widely used. 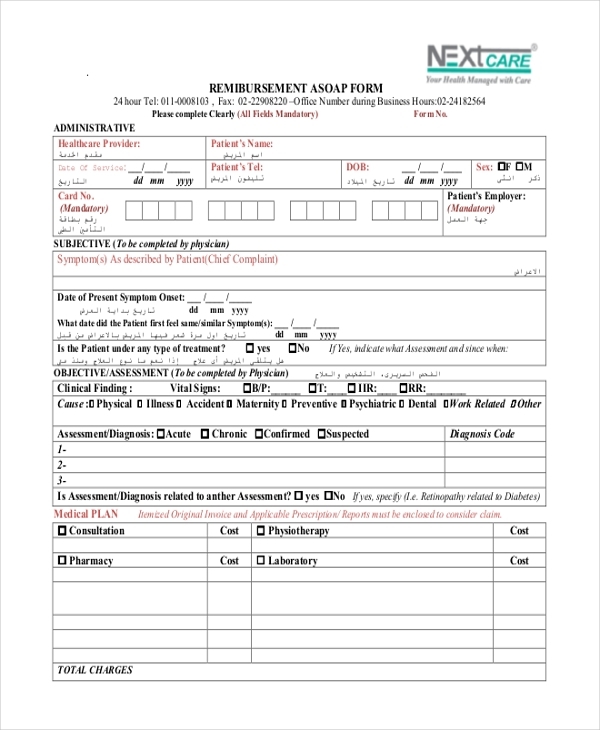 A reimbursement form contains details of the recipient – name, address, contact details, employer information, expenses incurred, cause of expenditure, date, time, signature of the recipient and authorities involved. It is preferred that a reimbursement form should be as detailed, comprehensive and elaborate as possible. You can check out some samples to know more, if you want to. Reimbursement forms are as useful and popular in insurance sector as they are in business and corporate avenues. Many organizations are known to be famous for the reimbursement benefits they offer. However, in order to enjoy them you need to have a suitable and complete reimbursement form, without it, enjoying reimbursement perks may not be as sweet!